(!) If you are using Acronis True Image Home 2010 with Plus Pack, see Acronis True Image Home 2011 Throws Errors in Application Event Log (Source: SideBySide, Event ID: 33) on Windows 7. The error is caused by the WinPE plug-in of Acronis True Image Home 2010 using different manifests than Acronis True Image Home 2010 itself. (!) 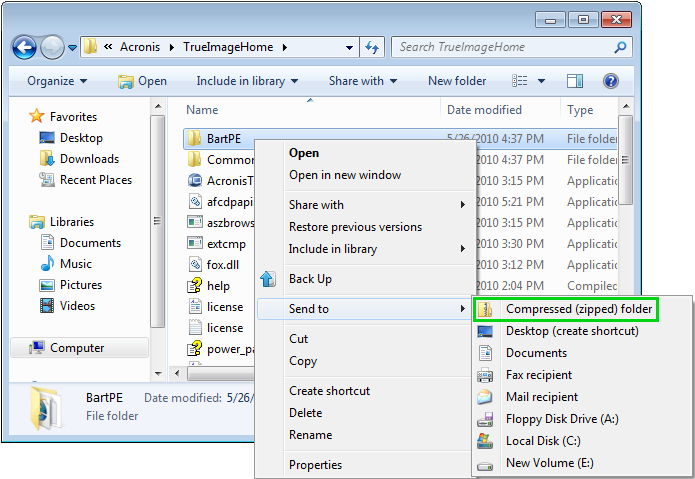 This has been fixed and the fix is available in the latest build of Acronis True Image Home 2010. See Installation of the latest update of an Acronis product. The files that cause the errors belong to Acronis BartPE plug-in.